$1 – a donation toward the sound editor’s fee because David “Dave” has such a tender voice that all the levels need to be massaged like Kobe beef. 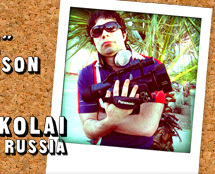 $3 – a donation toward the editor’s fee because Nikolai doesn’t know what the red button on the camera is for. $5 – a donation toward the American composer’s fee because Nikolai’s Russian Techno music should only be played in Siberia. $10 – a donation toward the camera package because Nikolai got all uppity and refused to use David “Dave’s” VHS with built-in steady cam. $20 – a donation toward the web designer’s fee because the guy at the Apple Store lied about CSS being as easy as junior high school French. $50 – a donation toward Dave “Dave’s” wardrobe because once you enter a Marshalls it’s hard to control impulses. 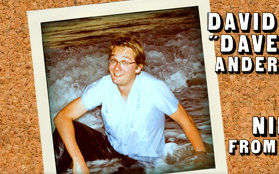 $ – Name your donation toward David “Dave’s” Production Credit Card Debt. This project can’t put out new episodes each week unless Dave can pay his credit card minimums.